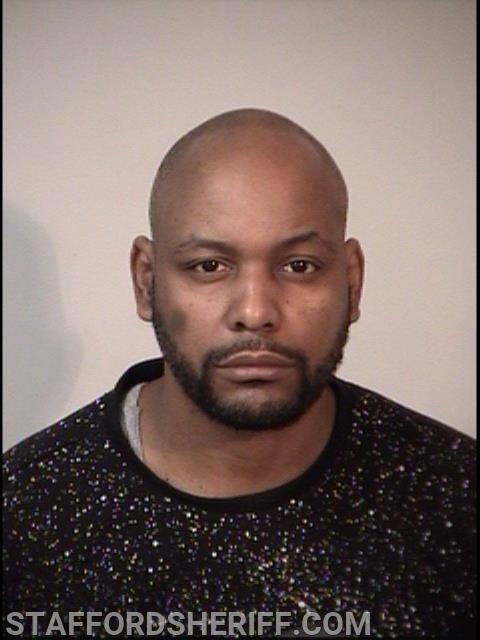 Stafford, VA. A suspect was arrested early Friday morning by deputies with the Stafford County Sheriff’s Office after assaulting his girlfriend at a local hotel in the southern end of the county. On January 17, 2019, at approximately 6:44 p.m., Deputy Stachurski responded to reports of assault made by a physician at a local hospital. The deputy then made contact with the victim who advised that her boyfriend repeatedly punched her in the face following a verbal altercation in a vehicle earlier that day. The argument escalated after they arrived at America’s Best Value Inn located at 605 Warrenton Road. The victim said she intended to grab her belongings and leave the hotel. However, after they arrived, the suspect chased the victim into the room and shut the door behind her. He then threw her to the ground by her hair and held her down by the throat while threatening to kill her. While holding her down, he ripped an earring out of her ear and repeatedly punched her in the face. Eventually, the victim was able to leave the room and fled the scene in her vehicle. Deputies arrested Travis Hudson, 43, of Bowling Green at the hotel on January 18, 2019 at approximately 4:30 a.m. He was incarcerated at Rappahannock Regional Jail without bond on charges of domestic assault and battery, abduction, and strangulation. He was also served multiple outstanding warrants out of Caroline County including assault on a law enforcement officer.